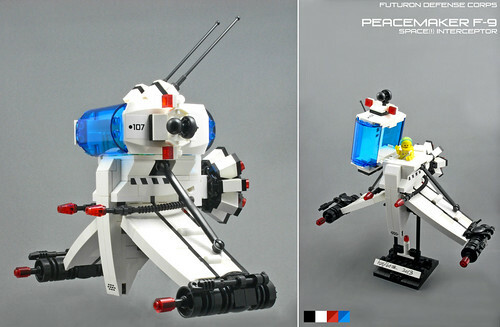 I like this ship, it's got an almost classic space feel, with a modern flair and color sense. And perhaps just a little Star Wars thrown in for seasoning, just a hint. The addition of a classic space Minifigure pilot is the perfect touch too. Nice work halfbeak.